The personal protection and emergency response software, developed jointly by CriticalArc and RAA, one of South Australia’s largest mutual organisations, has been shortlisted in the OSPA (Outstanding Security Performance Awards) run through ASIAL, the Australian Security Industry Association. The RAA SafeZone Lone Worker App is aimed at people working in Australian small-to-medium businesses (SMEs) and not-for-profit organisations (NFPs). 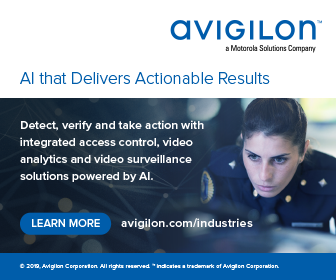 Outreach workers in healthcare and lone workers operating remotely have access to personal monitoring and response protection previously available only to organisations with significant resources and infrastructure, according to the developers. The smart phone application brings together CriticalArc’s cloud-based security and safety systems – that incorporates the SafeZone software – with RAA Secure Services’ Monitoring Emergency Response Centre, which provides A1-rated triage and response. The RAA SafeZone Lone Worker App now allows Australian employers to ensure response to worker emergency incidents without the need for MPAS (Mobile Personal Alert System); in sectors such as agriculture, mining, oil and gas. RAA SafeZone customers are also finding that improved worker care is helping them attract and retain the best talent, says Robert Christie, CriticalArc’s Technical Operations Manager, Asia Pacific. Homelessness support workers at Adelaide’s Hutt Street Centre are now monitored by the solution, with offsite monitoring and emergency response facilities enabled by the SafeZone app on their smart phones; as when the Centre’s Case Navigators are at work in the parklands of Adelaide or the homes of clients. The application enables staff to raise an alert, or to set a pre-emptive ‘check in’ timer, and get support if they feel unsafe. 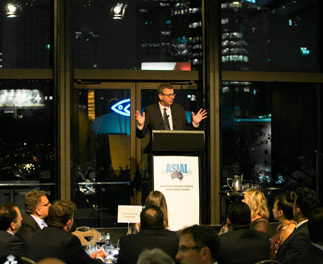 Pictured is OSPAs founder Prof Martin Gill speaking during ASIAL’s annual conference. For more about the OSPAs, visit theospas.com. Australian winners from those shortlisted will be announced at a dinner on October 18, at Sydney’s Doltone House.